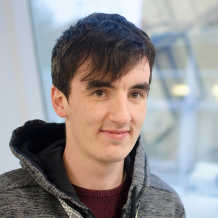 Darren was awarded a BSc in neuroscience from University College Dublin in 2013 before moving to Exeter to complete his PhD under the supervision of Prof Andrew Randall and Dr Jon Brown. During this time his research primarily centred around the nucleus reuniens, a thalamic nucleus which functions as a relay between the hippocampus and medial prefrontal cortex. Darren joined is in autumn 2017. A keen neurophysiologist, his primary research interest is the mechanisms through which discrete cognitive centres of the brain interact in both health and disease. Darren currently investigates the complex functional interactions between discrete subfields of intact hippocampal networks using electrophysiological, optogenetic, and chemogenetic techniques.